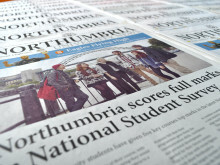 The latest issue of Northumbria University News is almost here. The new edition will be available across campus from Saturday 29 October - make sure you grab a copy! 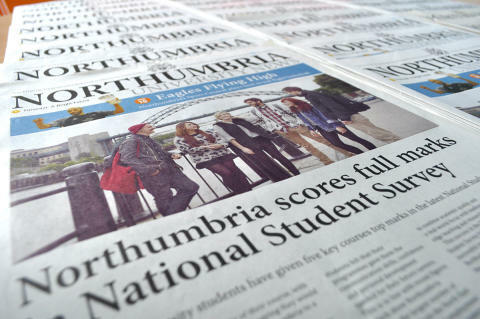 The Autumn 2016 edition of Northumbria University News brings together all of our latest news, alongside exclusive features and interviews. 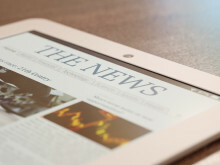 This issue’s stories include: Northumbria’s medal-winning Paralympic students, the latest QS World Rankings results, our progress in the recently announced Sunday Times Good University Guide 2017 and the NSS 2016, as well as all the latest news, features, interviews, and world-class research from across Northumbria. This edition also contains a special six-page ‘We Are Global’ supplement, exploring Northumbria’s global connections and partnerships, international staff and student links, and case studies from around the world. The supplement also profiles some of the international academics contributing to the Northumbria’s continued global success, as well as a feature on the International Student Welcome event, which took place in Newcastle during September, and information on support networks available for International students. Our Team Northumbria programme ensures that talented students with disabilities realise their full sporting potential, and in this edition’s sport section we are thrilled to feature four of our students who were among the medal winners at the Paralympic Games in Rio. Northumbria’s fab four came back with a fantastic haul of six medals. All of this and much more can be found in Northumbria University News, Autumn 2016 edition, available at newsstands across the University’s City and Coach Lane campuses from 29 October.